Starting right now, Apple will finally lift the veil on its iPad Mini, lock in new iTunes goodies, and maybe intro a new iMac. And we'll be covering it all right here. While you may think you know what the iPad Mini looks like by now, nothing's official until Tim Cook waves it around in front of that adoring crowd. And Apple's always got some a surprise or two in store. So join us, won't you? The event starts at one, so read up on our predictions here, then join along the liveblog fun here starting at 12PM EDT/9AM PDT. 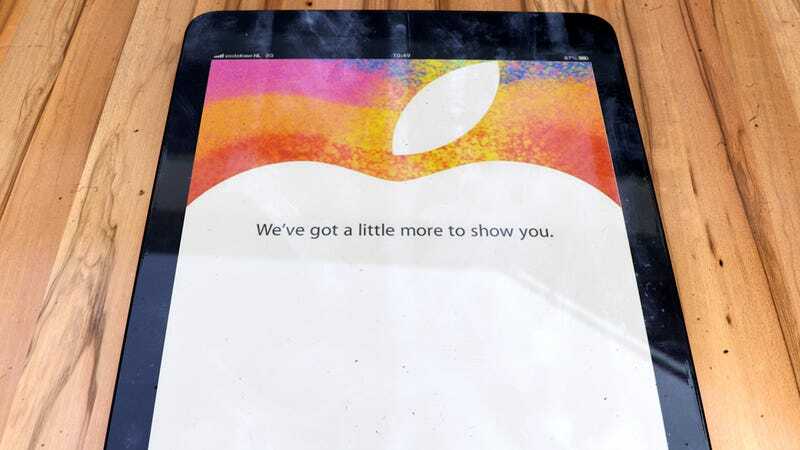 Apple Event: iPad Mini, 13-inch MacBook Pro Retina, New iMac and Mac Mini?